One of the very important issues which has been raised among the people of the whole world in the recent decades and has – regardless of age, occupation, education and income level – engaged all persons in one way or the other, is the issue of the “newfangled mysticism”. Prior to addressing the issues related to the subject, it is essential to provide some explanations regarding the concept referred to as “Newfangled Mysticism”. The expression “newfangled mysticism” is a compound phrase, consisting of the two words “mysticism” and “newfangled”. 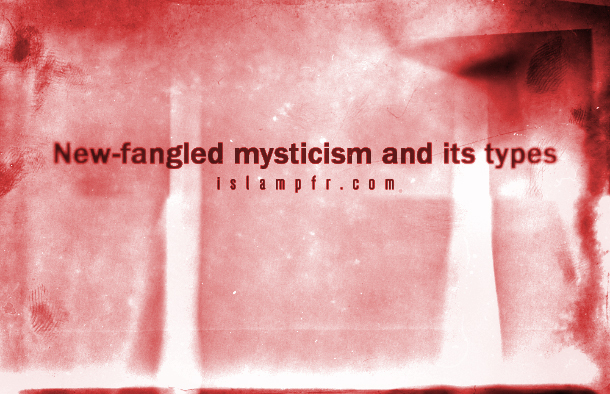 Considering the clarity of the expression “newfangled”, we shall define “mysticism”. “Mysticism” literally means “recognition, cognition, awareness of the secrets of something and it goes against superficial and shallow knowledge” It can be perceived from the literal definition of “mysticism” that the meaning of this expression is “discovering the secrets of the universe”. Considering the fact that gaining awareness of the secrets of the universe will result in identifying the origin of these secrets, it can be said that the real mysticism has an irrefrangible link with theism. It is due to this fact that many people are of the belief that mysticism is a short path and a shortcut to God. Noting the explanations provided regarding the concept of “mysticism”, it can be perceived that the meaning of the expression “newfangled mysticism” is a religious façade in manners and methods which have experienced significant growth in the last few decades, whose leaders try to somehow reveal the secrets of this universe. Of course this phrase does not mean that all types of mysticism succeed in discovering the secrets of the universe; it means that their founders at least claim to do so. Another point about the expression “new-fangled mysticism” is that the history of the appearance of some types of mysticism which fit into the classification of new-fangled mysticism dates back to centuries ago. Among these types of mysticism, “Yoga” can be indicated, which according to the claims made by the main figures of this cult appeared around the year 300 BC. Considering this point, it should be said that the point of scholars and researchers in utilizing the term “newfangled” in the phrase “newfangled mysticism” is not to suggest that all these types of mysticism have appeared in the last few decades; but the point is that these types of mysticism have had a significant growth during this period, which is why the title “newfangled” has been attributed to them. One of the very important issues that is raised when one begins research on newfangled mysticism is the issue of categorizing these types of mysticism. This issue is important, as in addition to specifying the initial birthplace, and the place of appearance and formation of each newfangled mysticism, it enforces a particular discipline for examining each of these types of mysticism and clarifies any similarities more than ever. -Ancient rituals which include “Vedism”, “Brahmanism or Hinduism”, “Jainism”, “Buddhism” and “Tantra”. -Newfangled rituals, the most important of which could be named as “Yoga”, “Osho”, “Sai Baba”, “Ramallah”, “Krishna”, “Yogananda” and “Dalai Lama”. The Americas; especially South America and Mexico could be considered the second region witnessing the appearance of false mysticism. Throughout history, numerous different types of mysticism have appeared on this continent, many of which have been newfangled and only a few count as old mysticism. Among mysticism appearing in the Americas, “American Indian mysticism (including Toltec, Sioux and witchy mysticism)”, “Eckankar” and “Paulo Coelho” could be named as the most important ones. American Indian mysticism has a greater antiquity in comparison with Eckankar and Paulo Coelho. -The first group is theocentric mysticism in which God is introduced as a being distinct from humans, whom we can be approach through affection and love. This type of mysticism was spread among Christians by “St. Augustine”. -The second group is Jesus-centric mysticism and its followers equate God with Grace and Jesus Christ (AS). This type of mysticism was introduced among Christians for the first time by “Saint Paul”. The Jewish mystical school of thought which is known as “Kabbalah” is actually a semi-mysticism which has been created through combining other schools of mysticism and faiths such as Christianity, Yoga and the Zoroastrian faith. It’s due to this fact that many researchers are in the belief that Judaism basically lacks any mysticism. The Zen ideology is a collection of schools of mysticism, with their birthplace in China. Taoism and Confucianism could be considered as the most outstanding types of Chinese mysticism. Of course, the minds of the Chinese have gone beyond these two types of mysticism, in a way that in a period of time Buddhism became prevalent all over China; with the Communist takeover causing important changes in the Chinese mysticisms. Another branch which is introduced as one of the categories of newfangled mysticism is fringe science and parapsychology. Fringe science and parapsychology are branches of science and psychology in which seemingly supernatural scientific and psychological phenomena are addressed. Many types of mysticism that currently talk about inner peace or claim to have connections with extraterrestrial creatures and spirits could be placed in this group.